I am delighted that Henley-in-Arden will be celebrating Her Majesty's Diamond Jubilee in style. Your plans for that first weekend in June really do include something for everybody to enjoy and should be a lot of fun. That is just how The Queen would like it. There has only been one Diamond Jubilee before, in 1897, which marked the 60th year of Queen Victoria's reign. This summer we have an opportunity to show our respect and affection for our Queen by celebrating her 60 years on the throne. She deserves it of us all and it is good to see how the people of Henley, a historic Warwickshire town, will be marking it. 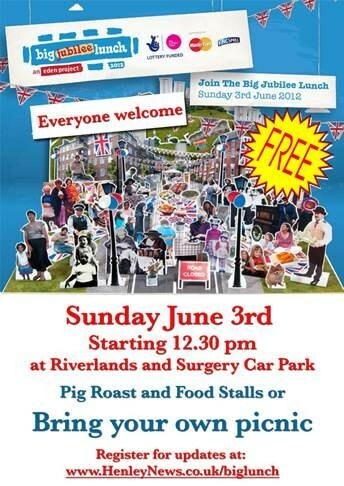 The The Big Lunch will be for the whole community - families, singles and couples of all ages. Bring your own tables, chairs and gazebos (if wanted), or picnic rugs. Music and entertainment will be provided and food and ice-cream vendors will be on site, or bring a picnic. The Medical Centre car park and the Riverlands will be the location and EVERYONE IS WELCOME. 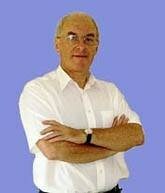 I am asking for your help regarding the physiotherapy services in Henley-in-Arden. We received a letter approximately two weeks ago, advising us that South Warwickshire NHS Foundation Trust would be withdrawing the Henley service at the end of April. There has been no consultation about this. I have discussed this with various physiotherapists and it is difficult to ascertain exactly why they are going to withdraw their services, but I suspect it is economics. I would ask for your support by signing the online petition below regarding these services so that hopefully we can have them reinstated. Please also add a short message with your own personal concerns. 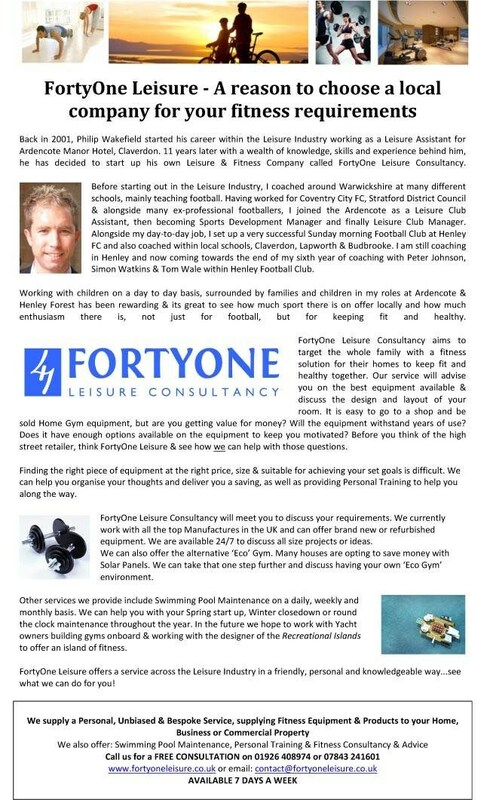 You are probably aware that Henley has one of the largest elderly populations in Warwickshire, and having a locally based physiotherapy service is I feel essential for the well being of the town. The room that we have here at the Medical Centre is fully equipped and we do not charge a rent to the physiotherapists. Obviously transport links to Stratford upon Avon or Alcester are very difficult, particularly if you have a musculoskeletal problem. Certainly the doctors of Henley cannot quite understand why this service has been withdrawn and we feel that if we should put pressure on South Warwickshire Hospital so that they will hopefully reinstate it. If you would like to write directly to the hospital about this, please address your letter to Mr Glen Burley, Chief Executive, South Warwickshire NHS Foundation Trust, Lakin Road, Warwick. CV34 5BW. This would also be an extremely useful measure. Remember every member of a household should support the petition individually. As soon as news of the petition started to circulate around the town there was an immediate rush to support the Medical Centre's petition and over 200 residents have now signed up. Many of the supporter's left messages of support and stories of their own excellent experiences. 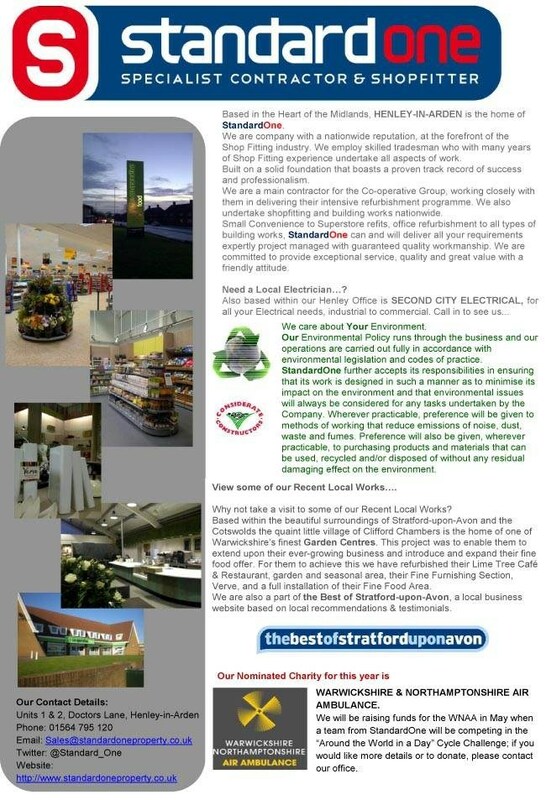 To read a selection of resident's comments, Click Here. If you and your family have not yet signed up, please do it now by Clicking Here. Glen Burley, Chief Executive said: "The suggested change to the physiotherapy services in Henley is part of our drive to utilise our resources in the best possible way, however I am currently arranging to meet with the GP practice to discuss the implications further. This will allow us to work together to determine whether this suggested change is possible or not." ‘The team at Henley Medical Centre would like to thank all the people who have taken the time to support us in our effort to retain the physiotherapy service currently provided from our premises. We will give another update as soon as we know any more information’. 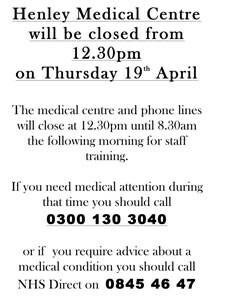 the physiotherapy service will remain at Henley Medical Centre’. No time frame has been indicated for these ‘negotiations’ but I have been advised to continue to book appointments in the same manner as before. This is great news and I really feel that the HENLEY NEWS campaign has helped us to achieve this position. Let’s just hope that the final outcome, after the completion of these negotiations, will be that the physio service does remain here. The JPC has been passed a letter by Warwickshire County Council from the Mayor of Scenic Rim Regional Council, of which the largest population centre is a town called BEAUDESERT. Less than an hour south-west of Brisbane, Beaudesert is famous for its showgrounds, and is the gateway to some fantastic scenery and activities in the Scenic Rim region. Population growth has been modest in recent years, with the most significant developments being the establishment of two relatively upmarket residential areas - Brayford Estate, 2km east of the town, and Tullamore Downs 4km north. Beaudesert Historical Museum and Information Centre displays vehicles, machinery and tools dating back more than 100 years. It also houses Pioneer Cottage, an authentic slab hut built in 1875. Mayor Cllr John Brent (right) says in his letter, "Beaudesert town is home to more than 6,000 people and growing every day. Beaudesert was built on the back of rural production and is also well known for its impressive array of local equine pursuits. 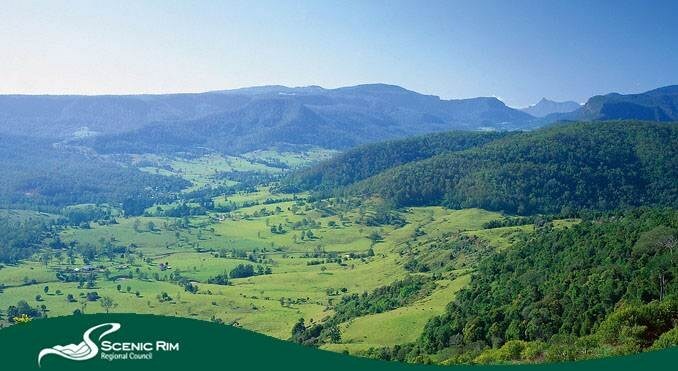 Today, Beaudesert is the commercial and administrative centre of the Scenic Rim, and is the gateway to some of the most amazing scenery in Queensland." The Mayor would like to explore the opportunity to establish a "twin town relationship" between the two Beaudesert localities. The JPC decided at its last meeting to refer the matter to Simon Watkins, who has been leading a town twinning initiative with Montfort-sur-Risle, in Normandy, France. Simon Watkins told Henley NEWS, ‘This is an interesting opportunity to develop and foster links with communities on the other side of the world. I would be interested in hearing the views of local residents as to whether this is something we wish to investigate further”. Councillor John Brent, Mayor of Scenic Rim Regional Council, emailed Henley News with the following message, "Whilst not named in honour of your township, as was frequently the practice by English settlers in Australia, the commonality of our names lends itself to a twin town relationship. I extend the hand of friendship from across the globe and look forward to advancing our civic connection." Jean-Christophe Bisson recently visited le College in Montfort sur Risle, which is very interested in setting up some links with the High School in Henley. My understanding is that the two schools will be corresponding directly about this, with a view to agreeing how any links may work between them. So that’s a good start. Hopefully, we can start to involve the junior schools too. Jean-Christophe is also talking to the football clubs and youth clubs to see if there is any interest. The town has also been asked if we would like to attend their Journées de Patrimoine on 15th and 16th Sept this year. This is the event Ray and Ann Holding went to a few years back – lots of historical activities based around the castle. Would any of you be interested in attending for the weekend if we could sort it out? Henley NEWS: Mr Willmott, we’ve seen Henley Independents candidates out canvassing, there are beermats in the pubs, flyers through our letterboxes, and adverts in Henley Focus – what is it all about? Mike Willmott: Henley Independents is a collection of independent candidates who have come together as a group to contest the parish council elections on May 3rd. The reason we are working together is that we are much stronger and more visible as a group. We want to make substantial changes to the way the Joint Parish Council (JPC) is run and we can only do this if we can get a majority of us elected (i.e. at least 7 of our 12 candidates). You mentioned canvassing in your question – we have been very active in the last few days, really listening to what residents want. The response has been very encouraging so far. HN: But can you really have a group of independents? Surely you are either independent or part of a group? MW: Yes you can. When residents of Henley and Beaudesert meet us they will see that we are individuals with a variety of backgrounds and experiences, all with our own points of view and interests. Trust me, the group we have put together contains a number of strong-minded people and I have no doubt whatsoever that they will act independently if elected! HN: So why are you standing for election to the Joint Parish Council? MW: Simply because we feel we can make real changes to Henley, for the benefit of all residents and businesses. We feel that the current JPC has done a lot of good work for Henley in the past but that it has lost its way in recent times. I am not going to disparage the current JPC in public, as I would rather focus on the positives that Henley Independents will bring to the town; the issues with the current JPC are well known and well documented in any event. HN: What are the positives that Henley Independents will bring to the town then? MW: Firstly, we have identified substantial cost savings – if we can achieve a good portion of these savings, then this money can be spent on projects in the town. At a time when county council budgets are being cut we think that we can fill some of this gap by managing the JPC’s money prudently and efficiently. People must remember that the JPC’s income (known as the Precept) comes from the residents of Henley and Beaudesert, via their council tax. It is the duty of the JPC to spend this as wisely as possible and to keep unnecessary expense and waste to a minimum. 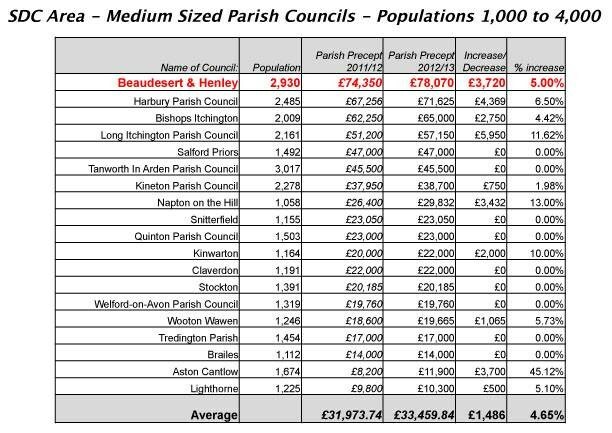 This chart shows that spending is out of control compared to many other similar sized parish councils in the area. This money has to come from the council tax payers in Henley and Beaudesert. Our JPC currently spends 64% more than Tanworth in Arden, which has a similar size population. HN: Finding more money to spend on local projects and initiatives would be a good thing for Henley, what else do you have in mind? MW: We are keen that the JPC is open to all and really listens to all members of the community. So, for example, we would like some of our meetings to be based around a certain section of society (the old, the young, local businesses etc) – this would be a chance for these local groups to discuss their concerns and opportunities with us. We also plan to streamline the number of meetings the JPC has – our goal is to have just one meeting a month. We think that one meeting a month, open to all, should be enough for a town the size of Henley – it’s what happens in many comparable towns after all. The big advantage for residents is that the one monthly meeting can then be a focus for all discussions of town business – all issues can be aired and discussed at the monthly meeting. We also feel it is important that our discussions are held in public so, apart from in certain circumstances where we are required to discuss issues in private, everything else will be discussed and debated in public. HN: Do you think that simply reducing the number of meetings is a vote winner though? MW: What it shows, I hope, is that we are thinking of the residents, and are trying to fit in with them and their busy lives. We know that the to-ings and fro-ings of the JPC is not the most important thing in most people’s lives. What we are trying to do is to create a system that is efficient (so we can spend the JPC’s income more wisely), open to all and transparent. I think these are important principles and they should be important to residents of Henley. HN: But Henley is already a great place to live – how would electing Henley Independents make much difference to the town? 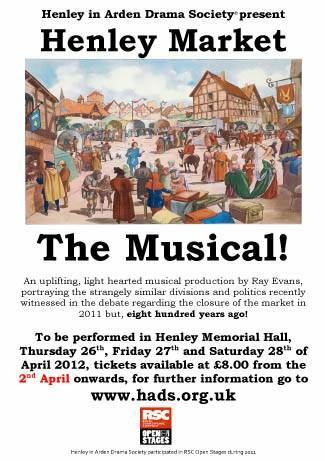 MW: Henley IS a great place to live. But we want to do more. I have already mentioned that we will free up some of the JPC’s income to spend on more projects around the town, but we have plenty of ideas that won’t cost any money and which will benefit the town. For example, we would like to look at ‘guerilla’ gardening projects – planting vegetable plots around the town, for the benefit of townspeople. We will also look at the idea of working reciprocally with groups within the town. 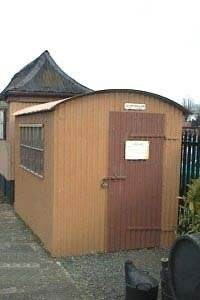 As another example, the Scout Hut needs a number of small repair jobs doing over the summer – could we encourage people to help with these jobs and ask the cubs and scouts to do some jobs around the town (maybe a litter pick) in exchange? There will be many other ideas and projects we can consider; if we can create a new JPC to help encourage these ideas and to actually help put these projects into action, then we are on to a winner. 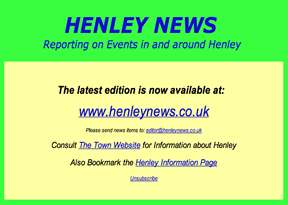 HN: This all sounds encouraging and to be applauded, do you have any final thought for readers of Henley News Online? 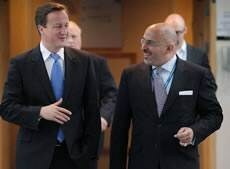 MW: We can’t achieve any of this if we aren’t elected on May 3rd. 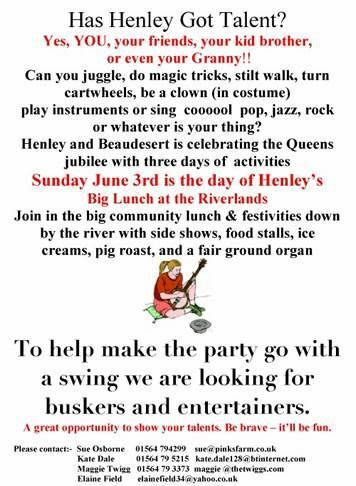 So we need all supporters of Henley Independents to vote for us on that day. 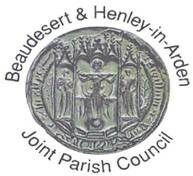 Residents of Beaudesert have 5 votes for the JPC and Henley residents have 7 votes. 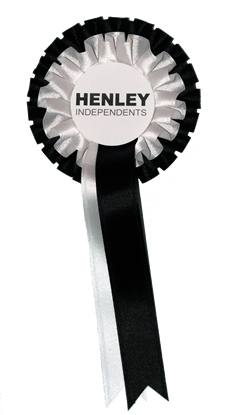 You can simply vote for all of the Henley Independents candidates on your ballot paper – we will be easily identified with a Henley Independents logo. In the end it’s really very straightforward: if we get enough votes we will be elected. I really hope what I have outlined here will encourage people to vote for Henley Independents on May 3rd, as we feel we can make a real difference to the town. Having spent the last few years denying that they were a political group, the JPC Group are now distributing their identical election leaflets and poster. Joining this group are 2 new members - Sarah Allcock and Valerie Johnston. The longest serving councillor of the group has been on the JPC for 32 years. The last contested elections were on 4th May 2000 in Beaudesert and 2nd May 1996 in Henley. 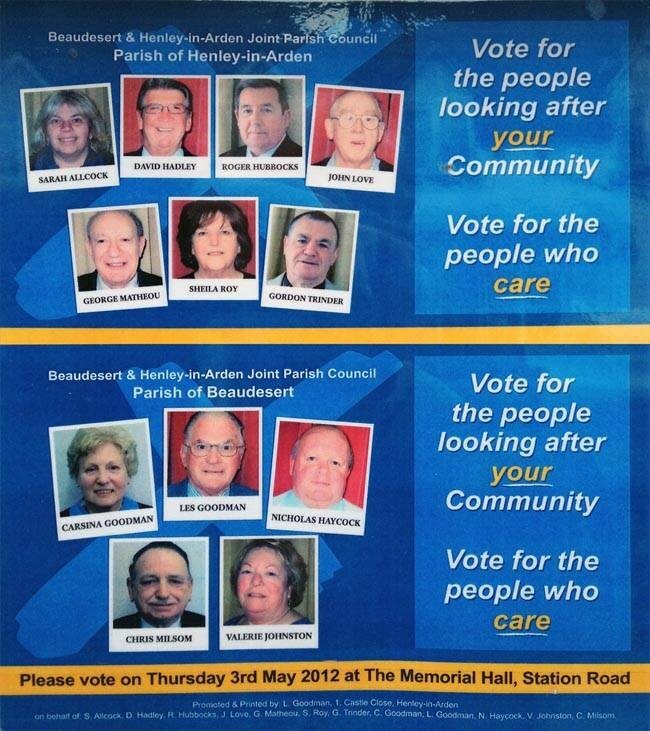 The election takes place on Thursday 3rd May 2012 at the Memorial Hall between 7 am and 10 pm. The results are expected to be declared on the following day at Stratford Leisure Centre, Bridgefoot, Stratford-upon-Avon. 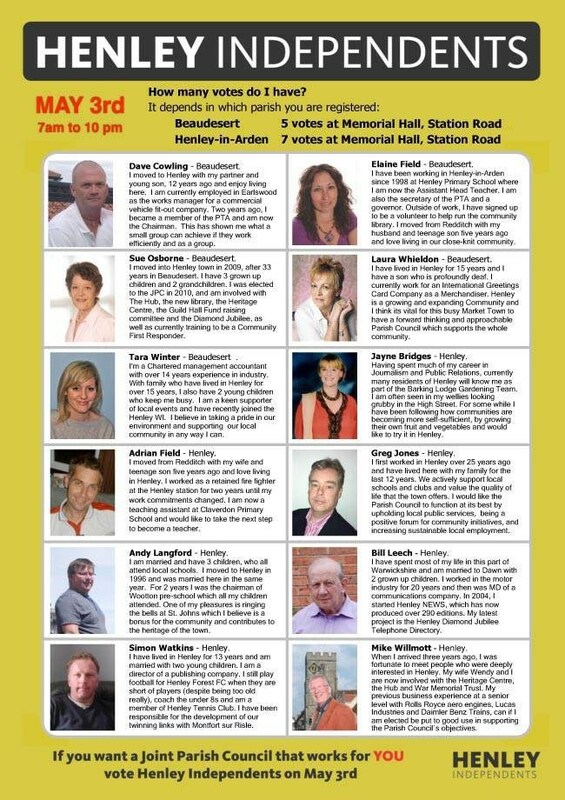 The Henley Independents candidates are shown on the Notice Board below. "As far as the elections are concerned, I am a keen supporter of democracy." Does he mean that apart from elections he does not support democracy? "I am not sure that having 24 candidates for a Parish Council election is reasonable." Does he mean that he would prefer it if there was no opposition to his standing for the Parish Council? After all, he has always been elected to the parish council uncontested. There have been people in power in this country in the past that have had their "doubts" about democracy. The fault of the English is that when it comes to democracy we are generally lazy. If a job is being done, then the tendency is to let "them" get on with it. In my opinion this is because we are lucky enough to live in a country where democracy prevails. This comes at a price (World War 2) but on the whole it is worth it. Councillor Matheou should be cheering about the fact that, after some years of political lassitude, the Henley electorate has woken up to the fact that for the past 12 years or more the parish council has been far from satisfactory due to insufficient candidates of all ages and occupations. Furthermore, according to Matheou, the present JPC conducts most of its business outside council meetings, which again is totally undemocratic. So Councillor Matheou, less moaning and let’s see you out on the streets with a smile on your face, because democracy has already triumphed. The Diamond Jubilee Organising Committee decided at its meeting on Tuesday 17th April by ONE vote that it would NOT ACCEPT cheques submitted by readers of Henley NEWS for torches for the procession being organised by the Royal British Legion on Monday 4th June 2012. Cllr Roger Hubbocks, Deputy Chairman of the Diamond Jubilee Organising Committee, told Henley NEWS that he considered the use of the internet for ordering torches was "Discriminatory against those who do not have internet". 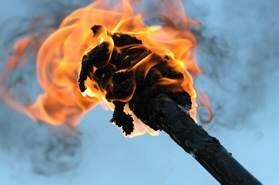 Therefore, all the cheques will have to be returned and anyone wanting to purchase torches will have to visit one of the shops in person, when it has been decided which shops will be selling the torches. Both Cllr Les Goodman and Dennis Cox, Chairman of the Royal British Legion - Henley-in-Arden Branch, were deeply committed to the motion that there should be no internet applications and that the cheques should be returned. At present, the Diamond Jubilee Organising Committee is short of funds and cannot purchase the insurance cover for The Big Lunch. Bill Leech, the member of the Diamond Jubilee Organising Committee responsible for fundraising and publicity commented, "Had the committee accepted the cheques as originally conceived, there would not now be a cash flow problem." 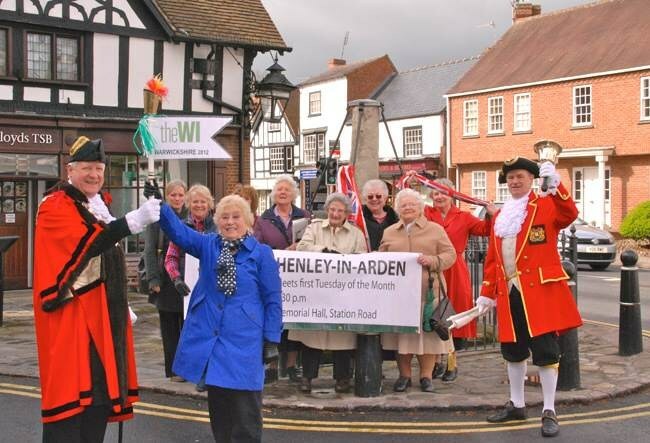 On Tuesday 17th, the Women's Institute Olympic Torch Relay passed through Henley and the High Bailiff and Town Crier were on hand to cheer on the torch bearers. Members of the Henley WI decided not to run marathon style to Studley but instead travelled in a luxury Johnsons coach. The relay is part of a ‘WI Olympics’ taking place in the county, in which institutes will vie with each other across table tennis tables and in front of dart boards before an Inter WI show in July, with categories for preserves, baking and making clothing from recycled plastic. 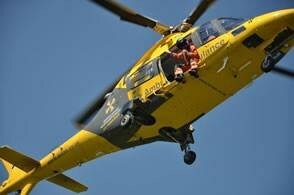 Nuthurst Grange Country House Hotel is pleased to announce that they have chosen Warwickshire & Northamptonshire Air Ambulance as their nominated charity for the year. The Hotel, based in Hockley Heath, Solihull has never devoted its efforts to one charity before, and this is the idea of Stuart Maun, business consultant at the Hotel. Stuart has been supporting the Charity for many years within his other roles, and the Charity was an obvious choice to put forward to the hotel proprietor Paul Hopwood. Our picture shows Stuart left, with Jo and Paul. 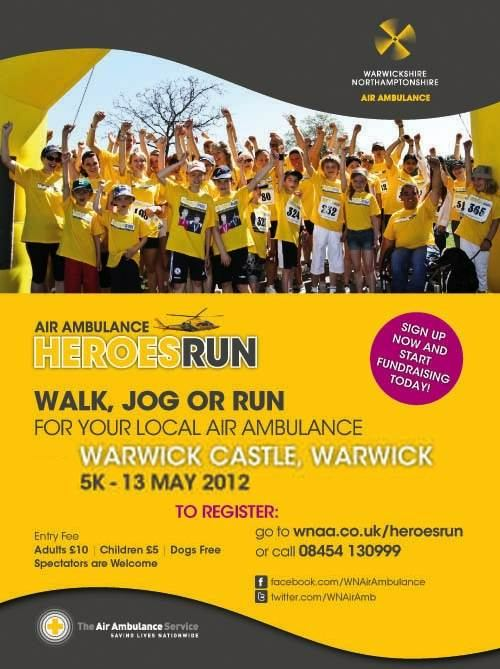 Warwickshire & Northamptonshire Air Ambulance is a Helicopter Emergency Medical Service or HEMS and in 2011 flew to 1001 missions in the region. In busy periods they can attend as many as seven missions a day, from road traffic collisions to sport related injuries, fallen horse riders to industrial accidents. WNAA covers a geographical area that stretches the length of the M1 through Northamptonshire and across the M6 and M40 in Warwickshire, protecting our communities from the sky. Jo Payne, Fundraising Manager for the Charity said “We attend any incident that is life-threatening, where access by land is limited, or where the patient's quality of life would be affected by undue delay. We have the fastest and most technologically advanced civilian helicopter available taking our highly trained medical team to the scene of any incident within minutes, giving our patients the best possible chance of recovery. WNAA receives no Government or National Lottery funding and relies totally on donations, sponsorship and fundraising events to keep flying and saving lives. 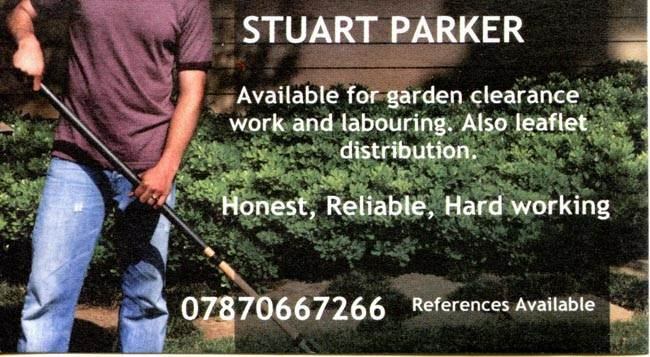 We are so pleased that Stuart, Paul & the Team at Nuthurst Grange are happy to support us in every way they can. The Charity has to raise more than £1.7m every year just to keep flying and so works hard fundraising in our communities and in the corporate world too – creating mutually beneficial commercial partnerships”. The Hotel has already put pin badges on their reception desks and collecting pots for guests to make donations, and have also arranged their first event – A Coffee Morning on Monday 10th September at Nuthurst Grange Hotel. Nuthurst Grange Country House Hotel is a privately owned luxury country house hotel with 19 individual bedrooms, facilities for conferencing and weddings, and a 2AA rosette restaurant & Orangery. For more information please visit the website www.nuthurst-grange.co.uk or follow their updates on Twitter (@Nuthurst_Grange) or via Facebook (Nuthurst Grange Country House Hotel & Restaurant). Friday 6th April saw the refurbished Three Tuns open its doors to welcome old and new customers to a comfortable, pleasant and welcoming real PUB. One of the oldest pubs in Henley has now been moved into the 21st century still retaining its relaxed and comfortable original pub style atmosphere - one of the very few surviving in the Midlands. Newcomers to Henley, Tony Mills and Dave Reath, having patronised the pub since their arrival nearly 3 years ago, loved it so much they decided to invest in a 10 year lease with the intention of making it a place that locals would like to drop in for a casual drink with friends, and the sympathetic work they have done in freshening up the bar has really worked. To quote the new owners "Our aim is not to change anything that makes us and all the other Henley residents who use it, love it so much. The charm, friendliness and character is something we hope, with the continued help of our manager Kate, to enhance and have somewhere all are, and feel, welcome to enjoy a drink and catch up with friends". Being a free house they are able to offer a wide variety of Real Ales, bar snacks, darts, almost everything looked for by patrons who just want to go out for a drink with friends and chat with local acquaintances. The response on the opening night really confirmed that The Three Tuns is now exactly what the local community wants. It was just another move to maintain and improve Henley High Street, all credit to them and lots of luck. 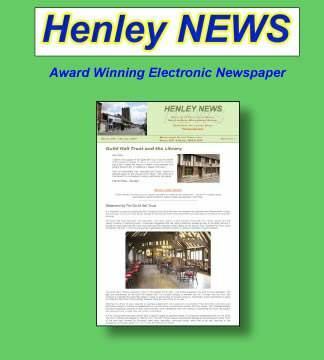 New Home for Henley Station? George Matheou told the annual Henley Parish Assembly that he is now recommending that our iconic GWR station building should be demolished. Since January 2005 or maybe even before, Matheou has talked a lot about his plans for the railway station but achieved nothing. Recently, I had discussions with Malcolm Temple, chairman of the Gloucester & Warwickshire Steam Railway PLC, about the Henley station being rebuilt at Broadway. 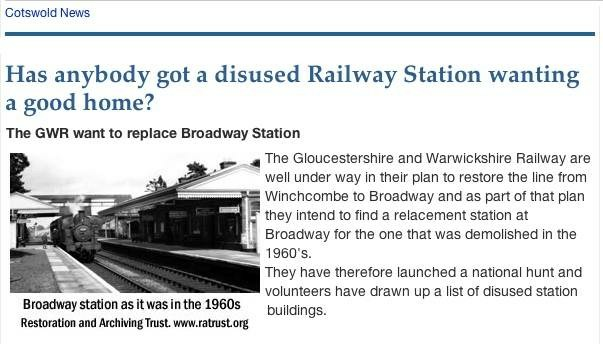 GWSR has been extending its line north from Toddington to Broadway and they are searching for a station to be rebuilt at Broadway. Read the latest news. Malcolm Temple told me that the Henley station building would be ideal for Broadway, being almost identical to the original structure, which was demolished in the 1960's. However, I am sure we would all much prefer that the station building remained at Henley and was renovated. If it has to go then the structures should be saved and rebuilt at Broadway. 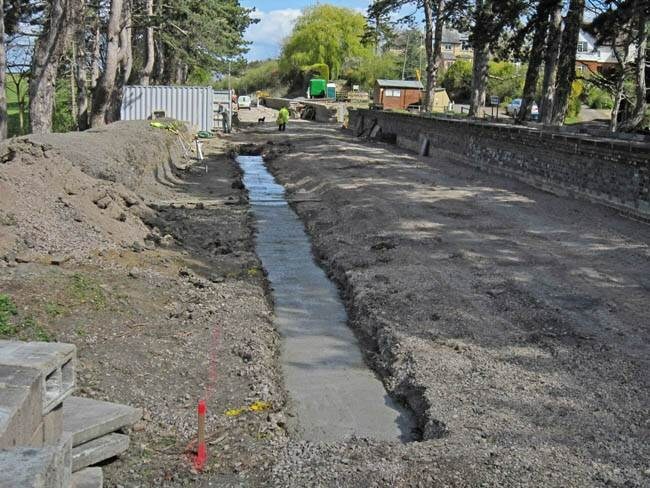 Latest picture from Broadway showing the new footings for Platform 2a, which were poured on 17th April 2012. 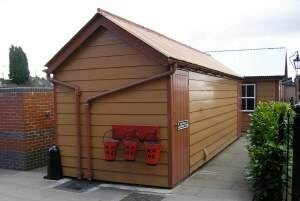 In about 2000, the Friends of Kidderminster Town Station relocated and refurbished two buildings from Henley's platform 2 - a parcels office and a lamp hut as part of a redundant building removals initiative by Railtrack. As reported in the last edition of Henley News, our Rector John Ganjavi will be sitting outside St John's Church this Saturday morning ( 21st April ) between 9.00am and 1.00pm to launch the bell appeal for our two historic churches. The aim is twofold, first to install a Carillon in the tower of St John's which will work with the existing bells. The Carillon will give accurate timing for the hourly chimes and can also be programmed to play a hymn each day. Carillons are used extensively in continental Europe but are not so common in the UK but once installed it is sure to enhance the attraction of our lovely town. Phase two of the project is to remove, refurbish and reinstall the ancient 14th Century bells in the tower of St Nicholas' which have not been rung in living memory. John explains " Restoring the bells in St Nicholas' is long overdue. Apparently, this project was first considered by the Parochial Church Council way back in 1937 so it's about time we got on with it! The St Nicholas project will cost £30,000 and the the St John's project £10,000. £7000 gift aided would secure the St John's project perhaps in memory of a loved one; I can't think of a more fitting tribute in memory of someone we have loved, than to have a hymn tune played each day from our church which sits right at the centre of our town. I am asking Henley residents to consider this unique appeal and to give generously. 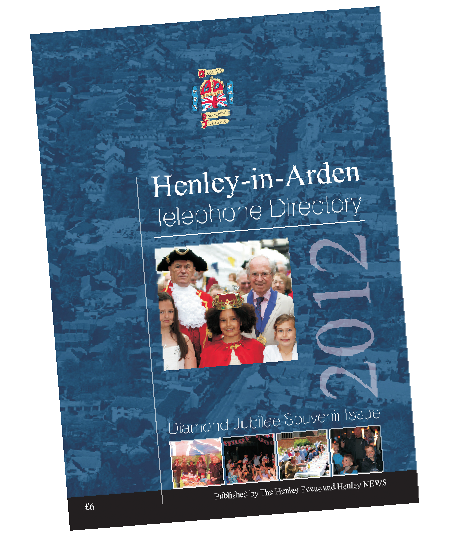 Other groups in the town have expressed an interest in supporting this project and I am particularly grateful to both Henley News and Henley Focus, who are compiling and printing a new town telephone directory and have pledged some of the profits from that venture towards this project." Our speaker in February was Jessica Lindon with Traditional Home Crafts. Jessica who works for the National Trust in the Back to Backs in Birmingham showed us how to make rag rugs and then demonstrated making a garland that can be used for the Jubilee or Christmas, depending on the colours used. It was most enjoyable. In March Julia Staite gave her talk The History of Fragrance. Julia has a wonderful collection of perfumes & bottles, the latter are now very collectable. She told the history of perfume and the perfumers and showed many examples of well known fragrances. It was very nostalgic to see examples of the perfumes that were used in the past. 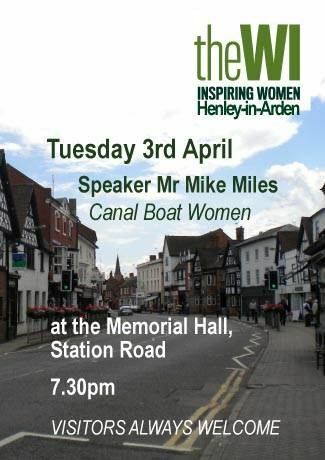 Our speaker for April was to have been Miles Miler on Canal Boat Women. Sadly he had had a road accident and was unable to come. At very short notice one of our members, June Mathers, stepped in and gave a talk on the canals. She and her husband have had a narrow boat and she did a brilliant talk on how the canals were built and then taking us along our local canals, through all the locks. It was a great evening. In March five members went to the Warwickshire Federation Spring Council Meeting where we collected our 85th Birthday Certificate. For this Olympic year, a baton is being taken round Warwickshire to each W.I. Ullenhall will bring it to the Market Cross on Monday April 16th at 11am and at 10.15 am on Tuesday 17th we will be leaving the Market Cross to carry it to Studley W.I. 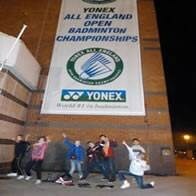 'Children from the new ‘Henley Hawks’ Badminton Club had the chance to see the best badminton players from around the world compete for the Yonex All England Badminton Championship - the badminton equivalent of Wimbledon. The children cheered on the English pair to the quarter finals whilst trying to pick up tips for their own game. The junior badminton club started at the beginning of the year and children from Henley in Arden have had the opportunity to learn skills and techniques of the sport. Due to demand, Head Coach Steve Kiernan will be setting up another session starting after Easter at Warwickshire College, Henley Campus on Tuesdays 4:30pm to 5:30pm for all ages. 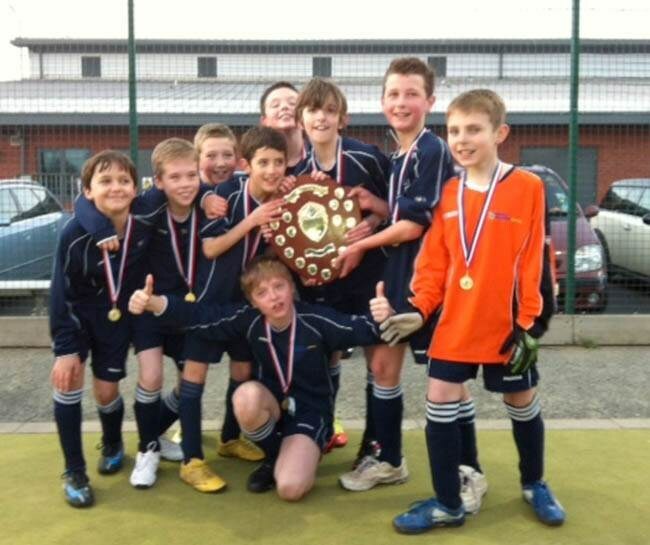 to lift the shield and be crowned tournament winners. Billesley Manor Hotel will be hosting, during the week of 4th June, a unique experience in the outstanding Elizabethan grounds of the hotel. Swooping from the sky in silence and moving with almost effortless grace, the bird of prey is as poetic an animal, as it is majestic. We are offering you the chance to get up close to our beautiful birds during this interactive experience. You will spend time walking the Elizabethan grounds of the Billesley Manor Hotel in the company of falcons, hawks and owls and have them fly to your gloved hand. During the event you will learn the history behind this ancient art, the different attributes and hunting styles of each bird. Please remember to bring a camera to record your time handling and flying these magnificent creatures. There will be a lunch break of an hour during which a Picnic Style Lunch will be served consisting of Sandwiches, Pork Pies, Vegetable Crisps, Strawberries & Cream washed down with local apple juice. Once your lunch has been enjoyed, you then have the opportunity to learn about the ancient art of archery, yet with a modern twist to help you develop your skills. Relaxing and drawing your focus towards a real sense of achievement, and keeping in mind your wish to enjoy a laid-back afternoon’s activity - out in the landscaped gardens and grounds, this is your chance to let the arrows fly, and learn some of the skills the modern-day archer deploys to hit the target time after time. Demonstrated and coached by Archery GB qualified bowmen, you will be taken through the steps of mastering this historical sport, learning how archery has played a key role in British history for many centuries, fine-tuning your techniques with various types of bow as the session progresses, whilst letting your daily stresses melt into the background. Then, to make sure your energy levels are topped up before you depart, Afternoon Tea/Coffee with Gingerbread will be served to round off your day. Warwickshire Association for the Blind runs a fortnightly club for people with a Visual Impairment at Dell Court in Henley-in-Arden on a Wednesday afternoon. It is run by a friendly group of volunteers who arrange a varied programme of speakers and musical entertainment; this is followed by afternoon tea which is very popular. The club is seeking a volunteer organiser/leader to oversee the meeting and generally ensure the club runs smoothly. They will have the support of the existing volunteers and WAB staff. Warwickshire Association for the Blind is the local Charity looking after people with Visual Impairment. Our main aims are to give practical advice and support to a person when sight loss occurs and to enable them to remain independent and enjoy a good quality of life. We have rehabilitation workers who can visit people in their own homes to provide training in mobility and daily living skills. On Saturday 12th May, Consensus will be performing Oscar Wilde’s timeless political comedy An Ideal Husband at The Memorial Hall in Henley-in-Arden. The production is being sponsored by local company MPA Financial Management Ltd and proceeds of the evening will help raise money for Memorial Hall funds. In this timeless political satire about blackmail, insider trading and the personal effects of a very public scandal, Sir Robert Chiltern, a brilliant junior minister, suddenly finds his past catching up with him as Mrs Cheveley, one of Wilde’s great female characters, threatens to destroy his career, marriage and reputation in return for his public support for a financial scam. Wilde’s trademark wit and comedy are skillfully woven around a gripping story of power and corruption that is resolved by his own alter ego, Lord Goring, whom Wilde himself describes as ‘the first well-dressed philosopher in the history of thought’. Those who are familiar with Consensus’ work, such as last year’s acclaimed RSC Open Stages production of The Merry Wives of Windsor, will be pleased to hear they will be combining the script with high quality operatic music once again to create a deliciously enchanting evening of intrigue and entertainment. This time the music comes from the operas of Giacomo Puccini, with many of the songs coming from his rarely-performed opera La Rondine, which has some of his happiest music alongside some his most achingly beautiful songs. Stratford-based drama and music ensemble, Consensus, aims to bring together the very best of local acting and singing talent to perform works combining drama with high quality operatic music, whilst at the same time raising money for worthy charitable causes. Tickets for these performances can be obtained from Duncan and Marijana Bainbridge at £15.00 per ticket on 01564 795149 (day) or 01564 794987 (evenings). Bring your picnic and a bar will be available! A full sized poster is on the notice board. 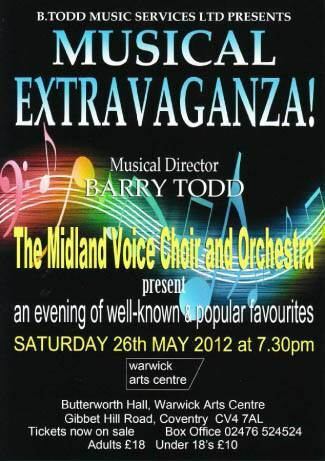 The Fundraising Committee of the Guild Hall Trust has announced their second event for 2012. 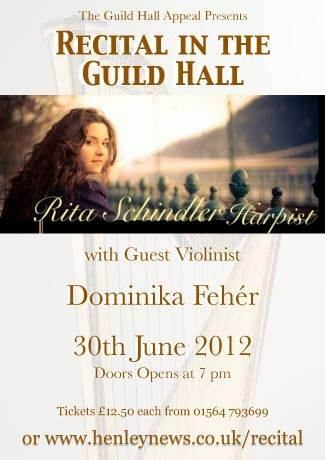 This event will take place in the Guild Hall on Saturday 30th June and will feature the internationally acclaimed harpist Rita Schindler accompanied by violinist Dominika Fehér. Rita Schindler was born in Budapest in 1987. She first started to sing and play the piano at the age of seven, and at the age of twelve she was accepted to Zoltán Kodály Hungarian Choir school in Budapest where she remained until her graduation. At fourteen she began to learn to play the harp with Csilla Gulyás. She took part as a singer in National Choir Competitions and Gregorian Festivals and in 2004 she was a prizewinner at the National Harp Competition in Hungary. After her graduation she continued her harp studies at Saint Steven Conservatoire in Budapest where she studied with Katalin Nagy for two years. In 2007 Rita began her undergraduate harp studies with Catherine White at Birmingham Conservatoire. During her undergraduate years Rita played with many symphony orchestras and ensembles around the West Midlands and became a member of the City of Birmingham Symphony Orchestra's youth orchestra. In 2008 Rita was selected to be a member of the Royal Philharmonic Society's Young Artists and was also a Sir John Barbirolli recipient. She also received a scholarship from the Birmingham Conservatoire. In 2010 Rita was first prize winner with distinction at the North London Festival of Music and Drama's chamber music competition. Rita has taken part in master-classes with renowned harpists, such as Caryl Thomas (Wales), Katherine Thomas (Wales), Isabelle Perrin (France), Elinor Bennett (Wales), Karen Vaughan (England), Gabriella Dall'Olio (Italy), Skaila Kanga (England), Milda Agazarian (Russia) and Irina Zingg (Switzerland). From September 2011 Rita will begin her masters degree at the Guildhall School of Music and Drama in London, studying with Imogen Barford and Charlotte Seale. In recent years Rita has performed professionally with numerous orchestras, most notably the highly acclaimed City of Birmingham Symphony Orchestra. She has given solo and chamber music recitals for a wide range of audiences including HRH the Prince of Wales. Tickets are limited for this very special event so an early reservation is recommended using the Henley NEWS Ticketing: Click Here. The first event, the Sicilian Feast which will take place on Monday 26th March, was sold out in less than 10 days by Henley NEWS Ticketing. Carlie Twigg visited Henley Flower Club last Tuesday to share creative tips and assist members in designing and making floral and craft items. 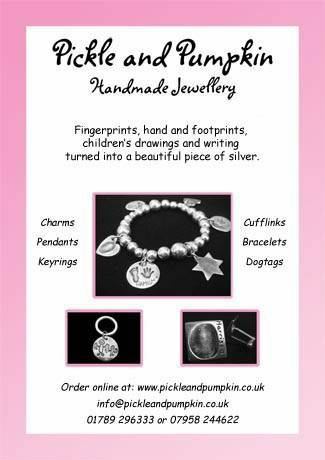 Carlie, a keen crafter, offers a range of courses for both adults and children. The particular focus of this workshop with Flower Club members was to assist them in designing and creating decorative boxes for their Competition Show in July. The event encouraged members to use a wide range of materials, and create some wonderful decorative gift boxes as well as embellishments for flower arrangements. The Club’s competition show to be held on the 28th July this year has craft, floral and photographic classes. Many of the classes are open to non-club members and there is a children’s category in the craft section. Local Rainbow and Brownie groups will be creating entries for this section – but anyone under the age of 11 is welcome to join in. Entry is free and the boxes are provided by the Show Secretary Angela on 01564 795918. 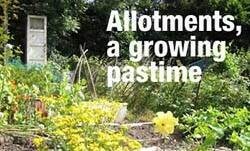 Further information about Carlie’s workshops is available on her website www.tlcbyclt.co.uk . The Club will meet again in May for a Floral Demonstration from Susie Barwick. The meeting is open to visitors with tickets available on the door priced £5 at the Memorial Hall, Henley-in-Arden. Events start at 7.30 pm. For followers of Kirsty Allsopp the Club’s Open Evening on the 14th June will be of interest. 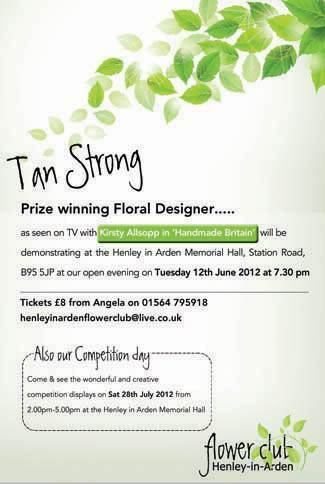 Tan Strong who assisted Kirsty in designing her entries for regional shows will be sharing tips and ideas and demonstrating her floral skills. 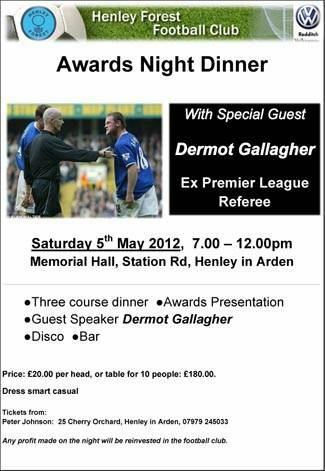 This is likely to prove a popular evening so the pre-purchase of tickets is advised. 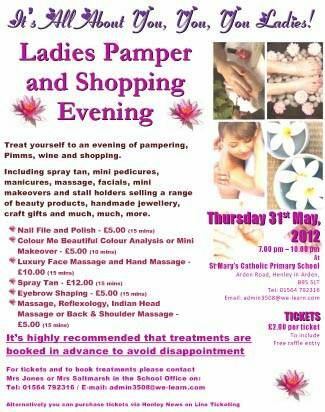 Tickets, priced £8 are available from Angela on 01564 795918. Angela also has entry forms and schedules of the Competition Show in July. Historians around the world are now able to use the internet to tap into over a million records from Warwickshire’s archives. The partnership between Warwickshire County Record Office and Ancestry to make parish records available to the public online has now reached fruition. This is a landmark agreement in improving access to the county’s unique collections of historical data. Ancestry.co.uk is a market leader in providing researchers and enthusiasts from around the world with access to digital copies of vital records. Users are able to access the information either on a pay as you go basis or via subscription. Only records over one hundred years old are made available which means that researchers are able to view entries from parish registers of baptisms, marriages and burials from 1538 to 1911. As part of the agreement the Record Office has negotiated free access for people in Warwickshire at local libraries as well as at the County Record Office itself. In addition to the parish registers other material including various classes of records held in the Quarter Sessions such as jurors lists, land tax returns and militia papers were also included. These are grouped under the heading Miscellaneous Parish records. Bastardy records are a familiar class of record that can turn up in the parish chest. They form part of the administrative records of a parish that began with the introduction of the Elizabethan Poor Law. Essentially a parish was responsible for the care of its poor residents but would seek to keep the list of dependents to a minimum. There are several ways that this could happen, for example the laws of settlement or pauper apprenticeship. Children born out of wedlock was commonplace by the late 18th and 19th centuries and the parish would be keen to make sure that the father was identified and, if necessary, compelled to contribute to the child’s maintenance. 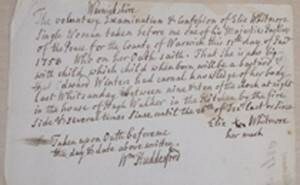 The records that survive in parish collections can sometimes provide vivid insights into the experiences of the women concerned, particularly the Bastardy examinations which were interviews with the local magistrates to determine the name of the father. Unfortunately these can be very patchy in terms of the survival rate but if available they may provide a missing piece of the jigsaw for some family historians. www.ancestry.co.uk/Warwickshire & www.warwickshire.gov.uk/CountyRecordOffice to find out more. Knowing that Henley In Arden continues to be an extremely sought after place to live, local house hunters have been rushing down to Taylor Wimpey Midlands’ Farriers Cross development to secure their new home. With a great mix of two bedroom apartments and coach houses and three, four and five bedroom homes, Farriers Cross offers something for everyone. This means if you’re a first time buyer, a growing family or even a downsizer wanting something smaller, you’ll be sure to find your perfect home at the development. Perhaps the secret to the development’s success is the enviable setting it boasts. Bordering scenic countryside whilst also being set right in the heart of Henley In Arden. The town is steeped in rich history and culture while also having a buzzing social scene with shopping, restaurants and bars nearby. Another attraction is the fantastic, high quality homes on offer such as the incredible four bedroom Fernhampton, a new release to the development. This stunning property, priced from £374,995, is situated overlooking greenery and comprises a generous living room, kitchen, dining room and cloakroom on the ground floor. The master bedroom, with en suite, occupies the first floor along with three further bedrooms and a modern main bathroom. 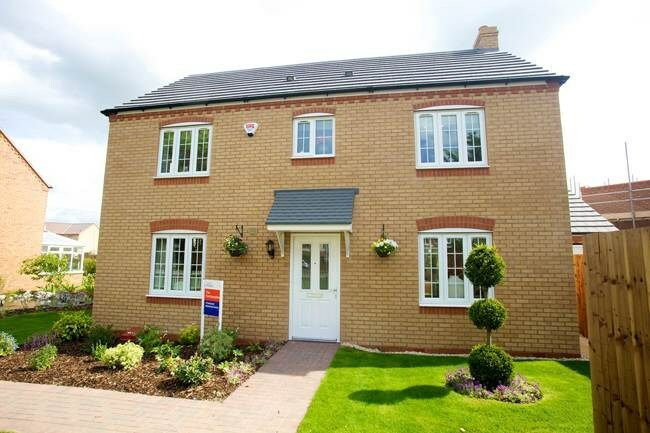 This home also benefits from a single garage, allocated parking and sizeable rear garden. Within walking distance of the bustling town centre, the exclusive Farriers Cross development is the perfect choice for househunters looking to buy a delightful new build home, whilst being situated close to the heart of this truly sought-after location. Henley In Arden benefits from spectacular architecture and listed buildings. Sites such as the fifteenth century Guildhall, and the parish churches of St. Nicholas and St. John the Baptist, make up a small part of the town’s diversity of history and culture. The market town also offers all the facilities for luxury living, with the High Street being home to designer shops, refreshments and an array of gastro bars and coffee shops. Farriers Cross, surrounded by beautiful Warwickshire countryside, boasts the best of both worlds as Stratford-upon-Avon, birthplace of William Shakespeare, and the delightful towns of Warwick, Kenilworth and Leamington Spa are on the doorstep. 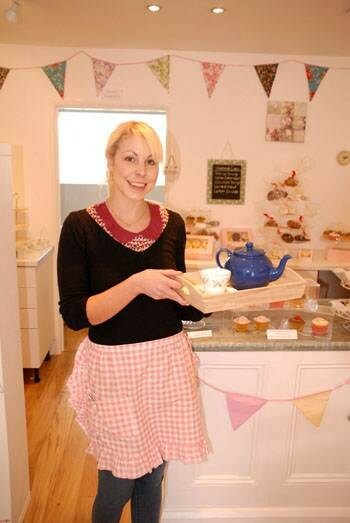 The Truly Scrumptious Tea Room opened its doors last week, welcoming locals from Henley and the surrounding areas. ‘The first week of trading was a huge success and I could not be more proud’, says owner Kerrie Dawson. Based at the Arden Craft Centre, Little Alne, the tea room combines traditional style serving teas and coffee in vintage china, with friendly service in a beautiful countryside setting. ‘All of our cakes and treats are handmade, in our kitchen at the tea room and we pride ourselves in offering the very best cream teas, traditional sponge cakes and cupcakes’. The tea room is a treat for the whole family with the wide range of things on offer and there is a real sense of community in this family run business. ‘I am so proud of how the business has grown from creating wedding and occasion cakes to offering a welcoming place for people to enjoy our cakes daily. The Tea Room is of a lovely, traditional style which I have always been a fan of. Our handmade cakes include classic Victoria Sponges, Fruit Scones and we also bake shortbread and many more popular treats. Throughout the summer we will be celebrating the Queens Jubilee in true British style along with many more events. We will still be creating our bespoke cakes onsite which are perfect for birthdays, weddings and any event’. The tea room is open Tuesday to Sunday, 10am to 3pm, serving a range of specialty teas, coffees, soft drinks, handmade cakes, cream teas, finger sandwiches and much more. ‘We hope to see many more local people and we would like to offer readers to try our cream teas at a special price of £5 for two! 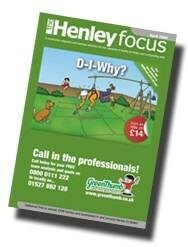 Valid until the end of May, simply quote ‘Henley NEWS’ when ordering. This summer do you fancy having a go at something new or returning to a sport you enjoyed? 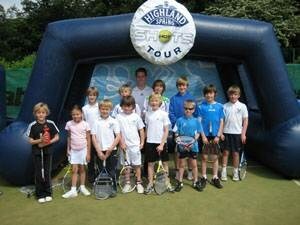 If so, why not come along to Henley in Arden Tennis Club for our free open fun day. 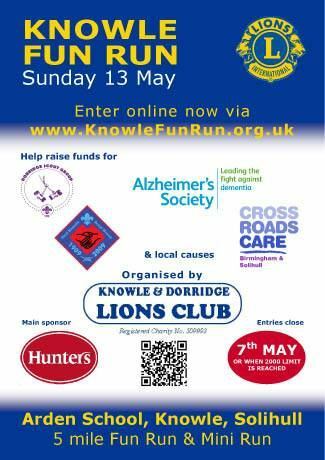 The fun day run for both children and adults will give you the chance to play a fantastic sport in a great setting with the help of experienced coaches. The Open Day is being held on Sun 22nd April with Juniors 15 and under playing from 2.30pm – 3.30pm and adults 16 and over from 3.30 – 4.30pm. The tennis club has seven courts, all floodlit, and is located on the Stratford Road in Henley in Arden. We can offer extensive playing, coaching and competitive opportunities for beginners, club players and experienced players so you really will be well looked after! 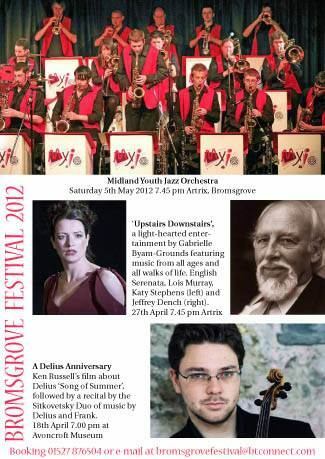 For Henley and Henley NEWS fans of the Midland Youth Jazz Orchestra who can't wait until December 17 2012, when they are playing at the High School Henley, for their next fix of MYJO Big Band music there is some good news. Please come along. MYJO are in great form at the moment having done a recent concert with top American singer Marlene Verplank which received rave reviews. See the poster on the Notice Board below. Proposed $2.3 billion spend on developments in the USA. Support for a 50% improvement in the energy efficiency of buildings by 2030 including one million homes to be targeted by 2013. Improving cars to achieve greater than 60mpg by 2025. This is over and above the already proposed standards of 35.5 mpg by 2016 and 54.5mpg by 2025. Halving the cost of batteries for electric vehicles by 2015. Enabling wind energy to contribute 20% to US electricity by 2030. Making solar energy more competitive with other energy sources. The aim is a 75% reduction in the cost of solar energy by 2020. Decreasing US government energy use by 30% by 2015. Reducing the energy consumption of manufactured goods. 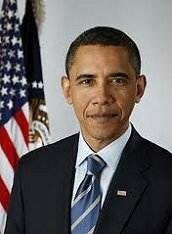 Obama has, from the date of his election, been keen on reducing energy use to minimise climate change. Last year, the US signed up to working towards a legally binding worldwide agreement on reducing carbon pollution. The above proposals show that the signature was not an empty promise. What has this got to do with Henley in Arden? There is a popular belief (not just in Henley) that it isn’t worth us doing anything about reducing climate change when the US isn’t doing anything. This may have been partly true under Bush but it isn’t true under Obama. It’s also not true about China, but that’s another article. If you operate a payroll you’ll know that the payroll year has just ended (April 5th) and soon you will have to send in your end of year payroll returns to HMRC. Remember that now all employers must file their end of year returns electronically and this applies to the filing of P45s and P46s as well. If you’re an employer without access to the internet you’ll have a problem (and you won’t be reading this! ); actually all you’d need to do is get your accountant to do it for you. If you have your own payroll software you should be able to file electronically with HMRC directly from within your software. Here’s a reminder of the important deadlines. Payment of March PAYE and NIC due. Interest will run on any 2011/12 PAYE, NIC, student loan and CIS deductions not paid over by this date. Employers’ year end returns (P35 and P14s) due for submission. Employees must be provided with their P60 (certificate of pay and tax deducted). Submission of P11Ds and P9Ds for 2011/12 which show details of expenses paid and benefits provided to employees and directors. Employees must also be given a copy of their P11D/P9D by this date. Class 1A NIC for 2011/12 on most benefits provided to employees must be paid. Interest runs from this date on late payments. PAYE settlement agreement liabilities for 2011/12 are due together with Class 1B NIC. Interest runs from this date on late payments. The above dates are the latest you are allowed to submit your returns and payments. Don’t leave your returns to the last minute though as you may find the HMRC website can’t cope with a last minute rush (this has happened before). What if you don’t owe anything? phoning 0845 3667816 with your HMRC accounts office reference and advising them of the period for which no payment is due. Could dodgy euros spoil your holiday? I spotted the following information in MoneyWeek magazine, a very informative and politically unbiased financial publication. We know the outlook for the euro is poor. If Greece and some of the other weaker countries leave, the political realities mean that the remaining members may still be forced to lend them large sums of money. But the outlook for some types of euro might be even poorer. 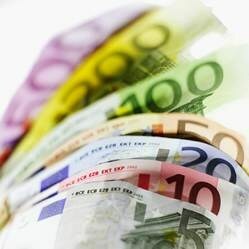 All euro notes are already stamped with a code indicating the country in which they were issued. This means that, in dire circumstances, national governments could use this code as the basis for a temporary currency system. This means that you could wake up one morning to find that the code on your euro notes meant that they were only valid in one country. This would not be a problem if they came from Germany, Holland or even France, but it would be if they were from any of the periphery countries (Portugal, Ireland, Greece and Spain). So if you’re really worried about those euro notes you are keeping for your next holiday it might be worth going through the notes to look for toxic codes. I’ve checked through mine (all €35 of them!) and none of them have these codes. So perhaps I can sleep just a little easier. Burglary dwellings have increased slightly on last year, but are comparable with last month and remain low overall when compared with other areas. On the Stratford Road, Henley the Sport & Social Club was broken into by forcing one of the windows, however nothing was taken from within. In Langley locks were smashed to the security gates of a property and numerous shed locks smashed in order to gain entry, which resulted in a generator being stolen, locks were also smashed to a garage and a Mazda 2 was taken, a tractor was moved as the keys had been left in and 20 gallons of diesel were taken. Criminal damage is comparable with last year and last month and remains low in comparison with other areas. On the Stratford Road, Henley a vehicle parked in the college car park was scratched. On the High Street, Henley a vehicle parked on the High Street was scratched. Anti Social Behaviour has fallen slightly when compared to last year and is comparable with last month. On Beaudesert Lane, Henley youths were reported for shouting and fighting although they had already left the area on police arrival. On the Birmingham Road, Henley a female refused to leave a bus and had to be taken home by officers. Theft of Vehicles has increased slightly on last year, but is comparable with last month and still remains low in comparison with other areas. In Beaudesert Lane, Henley a white Ford Transit Van left secure was taken without keys. On the Stratford Road, Wootton Wawen a Peugeot parked off road with the keys left in the ignition was taken. Theft from Motor Vehicles has reduced when compared to last year and last month and remains low. On the Warwick Road, Henley a registration plate was stolen from a vehicle and a vehicle parked in a car park of one of the pubs located on Henley High Street had its boot forced and sports equipment taken from within. Violence has increased slightly when compared with last year, but is comparable with last month and remains low when compared with other areas. Some minor incidents have been recorded in Henley and Studley, which have been dealt with appropriately by officers. 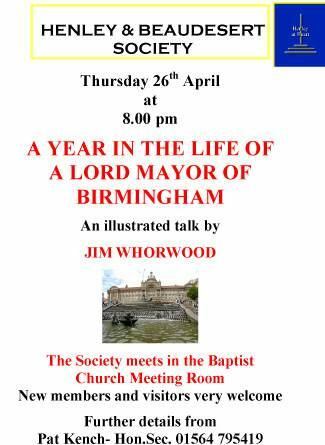 Tuesday 24th April. 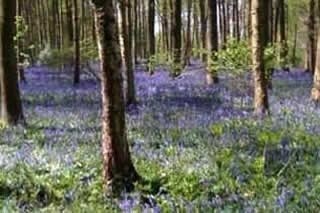 Tony Russell will talk on Westonbirt the National Arboretum. The resolution meeting will be held on Tuesday May 1st. All members are asked to take part in the discussions followed by social time and refreshments. Jessica Linden is running a workshop to make Jubilee Garlands on Thursday 3rd May 2 – 4 pm. All materials are provided and the cost is £15 and all proceeds go to church funds. Numbers are limited, so ring Barbara Warmington 793640 if you are interested. 8th May Lucinda Sanderson will provide a floral demonstration entitled ‘A Journey Through France’. Tickets available on door £5. 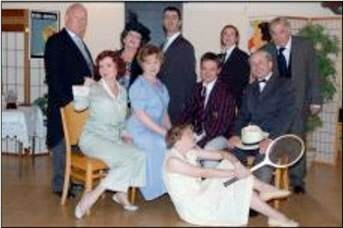 IDEAL HUSBAND AT THE MEMORIAL HALL. 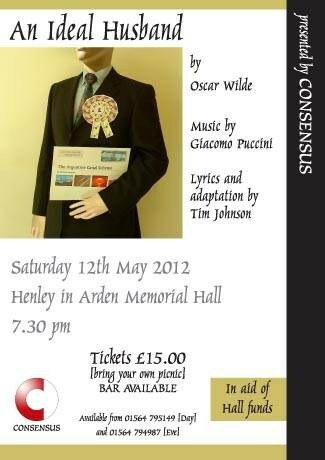 May 12th.Consensus returns to Henley with their production of Oscar Wilde's IDEAL HUSBAND with music by Puccini. Tickets £15.bring your own interval picnic. Ian Butler will be getting us into the holiday mood with his presentation of ‘Sun, sea and Sanderlings’ at our meeting on Tuesday May 15th. Visitors are welcome to join us in the Memorial Hall at 7.45pm. May 26th put on your 50's gear and dance to the Lickley Lads. £20.00 to include Buffet supper. 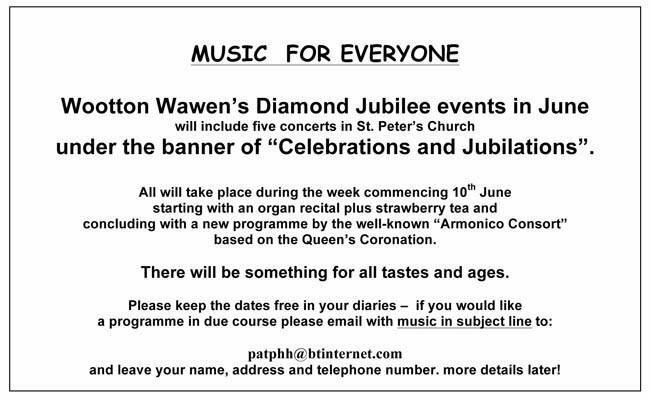 More than 30 parishes and villages in the Alcester deanery, among them Beaudesert and Henley, are being invited to join in festivities linked to the Queen's Diamond Jubilee at Warwickshire's oldest churchy including a last night "world first" performance. 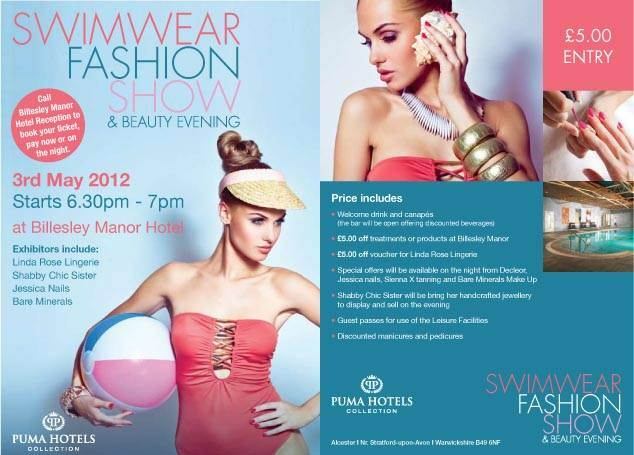 Enquiries about tickets costing £15 via Pat Phillips at patphh@btinternet.com (tel 01564 793114). More than 30 parishes and villages in the Alcester deanery, among them Beaudesert and Henley, are being invited to join in festivities linked to the Queen's Diamond Jubilee at Warwickshire's oldest church, including a last night "world first" performance. Enquiries about tickets costing £15 via Pat Phillips at patphh@btinternet.com (tel 01564 793114).